Two years after graduating from university and working in child protection services in B.C.’s Fraser Valley, Zoila Castillo decided that, while she loved her work, she needed a change in locale. A big one. In smaller communities, you can find First Nations people still living with traditions that are in some cases thousands of years old. There are three distinct cultural groups in the territory — Dene, Inuit and Metis — and 11 official languages. Larger communities such as Yellowknife, Inuvik and Hay River are home to growing immigrant communities from around the world. NWT capital Yellowknife is home to multiple cultural institutions, groups and venues, including the Northern Arts and Cultural Centre, which offers a year-long schedule of musical and dramatic performances from both local and national performers, and the Prince of Wales Northern Heritage Centre. It also hosts unique events such as the Snowking Festival, a month-long celebration of music and art held in a stunning castle built entirely from snow and ice on Yellowknife Bay, and the circumpolar horror film festival Dead North. For a complete listing of galleries, groups and other cultural resources in the city, visit the Arts and Culture section of the Yellowknife Insider’s Guide. Inuvik hosts the Great Northern Arts Festival every summer, bringing artists from across the North — and around the world — for a diverse series of exhibits and workshops. The town is also home to the Inuvialuit Regional Centre. NWT Arts represents and promotes artists from across the territory, while the NWT Arts Council helps fund artists and their projects. The capital of Yellowknife has long been a LGBTQ+ -friendly centre, hosting an annual pride festival every summer, while Inuvik began planning an annual Pride march in 2018. While it is still entirely possible to live a simple, off-grid life in the NWT if you want to, the territory is increasingly connected to the full range of 21st century technology. The recent installation of the Mackenzie Valley Fibre Link, 1,154km (717 miles) of high-speed fiber optic telecommunications cable that connects the communities of the Mackenzie Valley and the Beaufort-Delta regions, is the territory’s latest telecommunications infrastructural update. Cell phone coverage in the major communities is comparable to the South, while even the smallest hamlets have satellite-based cell phone service. Enhanced medical technology throughout the hospital to improve quality of care and clinical efficacy. The NTHSSA’s EMR program has been nationally recognized as a leader in electronic record systems in Canada. As yet, no other Canadian jurisdiction has a similar fully integrated, patient-centered solution. 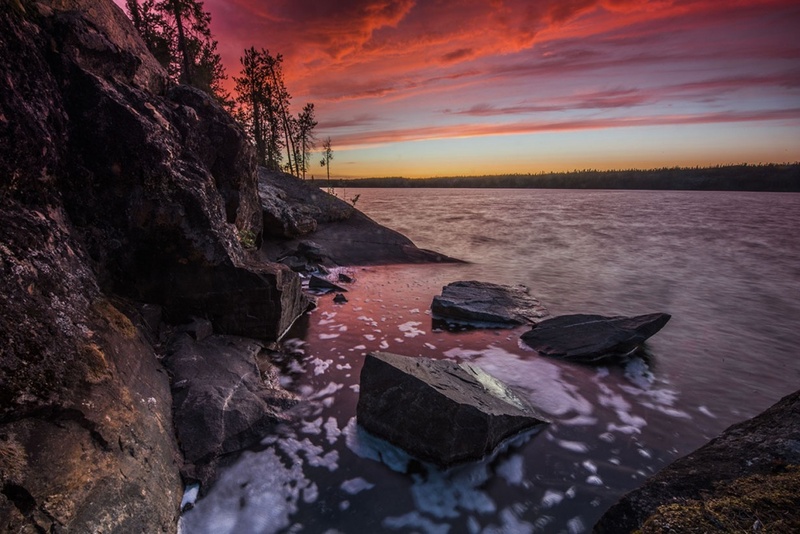 One of the appeals of the NWT for many of its residents — and the increasing number of tourists it attracts from around the world — is the unspoiled vastness of the territory, and its huge tracts of untouched wilderness. But that doesn’t mean that you are cut off from the outside world at all. Considering its location and size, the NWT is easily accessible. The completion of the Deh Cho Bridge in 2012 provided a fixed link to the south, and much of the southern NWT is connected via three highways to the national transportation grid: via the Alaska Highway through Yukon to the Dempster Highway to NWT’s Mackenzie Delta and the town of Inuvik, and, since the completion of a new highway to the Arctic coast, Tuktoyaktuk; Alberta Highway 35 north connects with NWT Highway 1 south of Hay River; In British Columbia, Highway 77 connects to NWT Highway 7 which runs parallel to the mountains and ending in Fort Simpson. There are regular direct flights by major Canadian carriers to Edmonton (a 1.5 hour flight) and Calgary (2 hours), while recent years have seen new direct service operating between Yellowknife and Ottawa (year-round), Vancouver, and Toronto (seasonally). Another 16 smaller NWT airlines offer scheduled or charter service to almost every NWT community. The NWT has a very wide range of incomes, but its larger communities post some of the highest annual income rates in the country. The NWT Bureau of Statistics latest report, from 2016, found that overall the territory had the highest median personal income in Canada, at $50,618 compared to the national average of $30,359. This is in part thanks to high-paying salaries and benefit packages in the public sector and in the resource sector. Norman Wells had the highest median household income at $154,624, while Yellowknife came in second with $142,616. It’s important to note that this wealth does not extend to some of the territory’s smaller communities, especially those following traditional economies. Out of the 27 communities with data (five communities with populations below 100 were not included), 13 fell below the national average for household income of $70,336. In the larger communities, this high level of income can be seen in the amount of spending on service and leisure activities — and is part of the reason for phenomena such as Yellowknife’s surprisingly vibrant and varied restaurant sector, where a lively mix of traditional and ethnic restaurants (ranging from Korean to Ethiopian) is buoyed by an annual household restaurant spend of $6,822 — compared to similar communities such as Prince George, BC, at $2,794, or Timmins, Ontario, at $3,452.